I just read a post about video marketing tips and I felt compelled to write a follow up article. The premise of the article is correct – if you aren’t amplifying content using video you’re missing out on a huge opportunity. However, you probably already know this. What you probably don’t know is how to create video content that actually gets viewed. If you craft perfect, insight loaded, visually stunning videos but they aren’t generating engagement, it’s a waste of your time and money. So how exactly do you get more views on your videos? You could run advertisements to them, but the ROI is almost always negative. The best way to get views is to get your videos to rank in search engines. 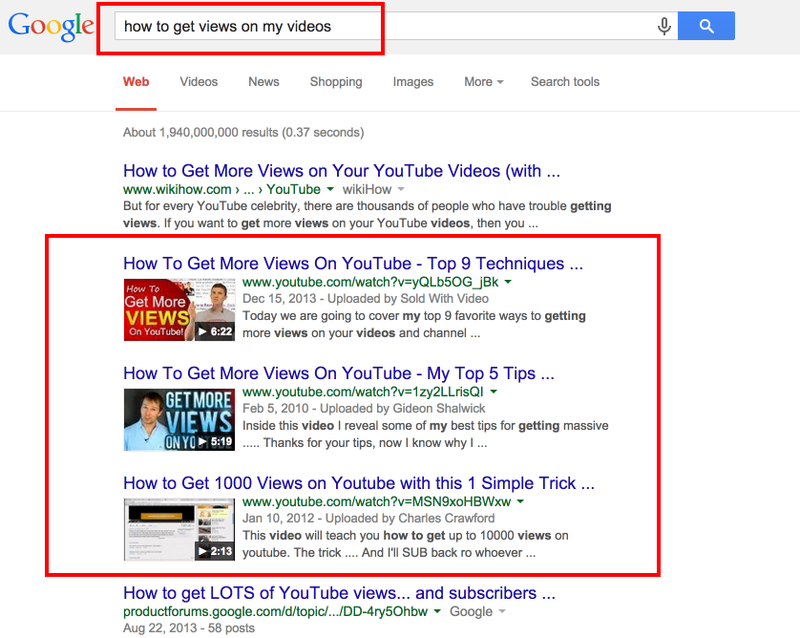 The ONLY way to have video marketing success is getting your videos to rank in Google searches. I personally choose to host my videos on YouTube and I strongly suggest you do the same. Not only are over 6 billion hours of video viewed monthly but the since the platform is owned by Google, there are obvious SEO benefits. Contextual signals are what tells YouTube/Google what your video is about. These are the aspects that you can control when uploading your videos to YouTube. Raw video file title: YouTube looks heavily at what the file name is when determining what the video is about. Make sure to name your video as your main keywords. Video title: Name your video with your main and secondary keywords. For example, if you want to rank a video for “How to braid your hair”, title the video “How to Braid Your Hair – Hair Braiding Tutorial”. Video description: I recommend using the video transcript. You can either write it out yourself, or hire someone on Fiverr to do it for you cheap. Playlist: Create a custom playlist for your videos. Name them after your main keywords. Channel page: Make sure to fill out your channel page entirely. That includes adding links to your social profiles, an intro video and a long description about your page. Follow others: Follow link minded channels that have a lot of followers. This creates a link between your page and other authority pages. Search engines always side with the users, aka showing the right results for the right queries. A huge way they determine that is by looking at how people engage with your content. The more views, minutes watched, social media shares, etc, the higher your video will rank. This tells search engines that your content is relevant and well received. We almost have a chicken and the egg situation – how can you get views on your videos that aren’t indexed by search engines? Post it to social media: Exhaust all of your own personal networks. Ask your friends to post it. Re-post old videos. This not only will drive up views, but it will drive up social media shares, another huge ranking factor. Post it to social media groups: After you’ve spammed out your own network, find Facebook, LinkedIn, Twitter and Google+ groups that are relevant to your content. Post the video in these groups and ask them for feedback. This is one of the best ways to drive long and engaged views. Place it in your email signature: Think about how many emails you send each day – each email sent is a potential video view. Leverage partnerships: Do you have any partnerships or good relationships with other businesses? Ask to leverage their audience with an email blast, social media update or blog post where your video is included. Off page signals are aspects that take place on other websites (outside of YouTube). SEO experts refer to this as “link building” – or getting other websites to link back to your target website. 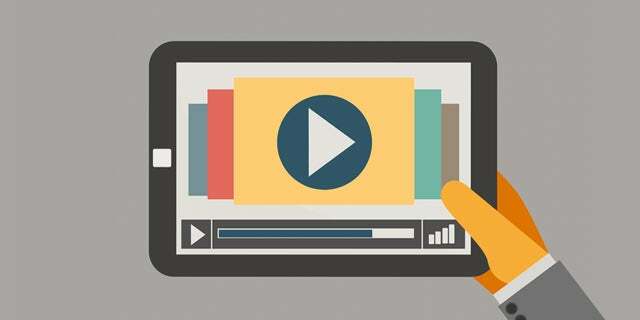 Your own website: Embed the video and add a link to your video from your own blog. Partner websites: If you regularly work with other businesses or websites, ask them to reference your video in a blog post or within their content. Leave links: I like to do a Google search for “My Video Niche” + “Forums” to find forum threads that a related to my content. I will then leave a comment with a link back to my video. This not only builds links, it drives views. This works exceptionally well in Quora as well. As our attention spans continue to shrink, video marketing will continue to rise. Make sure you get the basics down now, before it’s too late.